“These classic, elegant, sleek and stylish footwear stand out for all the right reasons,” says Ishaan Sachdeva, Director, Alberto Torresi about the latest range of slip-ons launched by the brand. “These Gagnon’s crafted entirely in velvet are the latest fashion-forward of summer. Their wear-ability makes them extremely comfortable besides adding a festive element to them,” he adds. 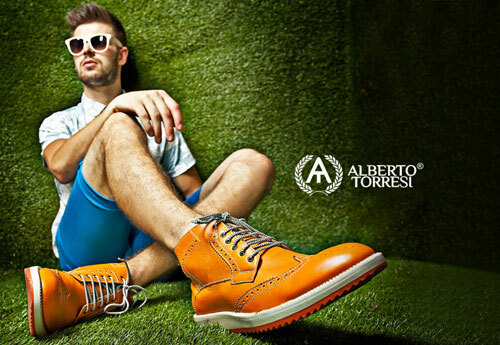 Offering a wide variety of footwear including boots, formals, loafers and slip-ons, international luxury shoe brand Alberto Torresi evokes a passion in the hearts of shoe enthusiasts. Owned by the Virola Group, and founded in 1969, the brand has grown into a Rs. 200-crore leather and footwear business. Offering couture-look footwear, the brand has carved a niche in both the domestic and international markets. Offering unique styles, Alberto Torresi, believes “The perfect shoe is yet to be invented. This positive dissatisfaction compels us to constantly improve upon our footwear,” Sachdeva opines. The brand uses advanced athletic technologies to achieve lightweight comfort in casual shoes and engineers walking comfort in dress and casual shoes. “We stand out by reinventing and improving footwear and not just by painting it different colors,” he adds. Adding various technologies into its product has contributed immensely to the brand’s growth. “We have introduced about 4-5 technologies like stress-less technology, impact system and memory technology, etc in the last few years,” adds Sachdeva. The brand offers a variety of footwear styles catering to different age groups. The brand is available across India through online retailers like Amazon, Myntra, Flipkart, etc. “As we don’t have any exclusive retail outlet, online venture is the best way to garner an enormous feedback. Our online business offers numerous options to our customers to shop according to their convenience,” states Sachdeva. “We also have two branch distributors and a presence in MBOs,” he adds. Talking about the potential of footwear industry in India, Sachdeva says, “The footwear industry, which is currently worth around Rs 40,000 crore, can grow to Rs 80,000 crore in next five years. India being the second largest footwear producer, we would like to cater to growing demand not only in India but also the global footwear space. He says, “Since the current season is about being fashionable, classy and refined, we expect to reach a wider section of the audience to make our brand more accessible.” Adopting both online and offline channels of growth, the brand has been growing at 30 per cent for the last five years. “We see ourselves growing into a top shoe brand in the next five years,” Sachdeva signs off.